30 | March | 2011 | can i just finish my waffle? A caller to Rush Limbaugh today used the same word to describe Obama which is pretty funny. Caller from Tampa said Obama was “a miserable little turd urinating on this country…..” Maybe somebody will post a video of it, I’m looking. UPDATE: Here’s the call from Tony in Tampa. His exact words were, “for two years this miserable little turd has been urinating on the working men and women of this country…..” (at about 1:33) and much more. The whole clip is just a couple minutes long and it is what I would call an excellent call. I think Tony said what a lot of people in this country are saying or at the very least thinking and he said it with no political correctness at. all. Great! I thought it accidentally slipped through, but the word has been blessed by the mainstream (and the president), so I guess it’s okay. See what Jon Stewart did with the whole Libya thing. Hilarious. Where’s the Birth Certificate No.3? QUESTION: What is he hiding? It may not be place of birth but you can bet your bottom dollar there is something about that birth certificate that he is hiding. He has spent millions of dollars to conceal it. His lawyer in charge is Robert Baur, Anita (I love Mao) Dunn’s husband (just another interesting little fact). I hope Donald Trump keeps up the pressure. Whoopi, as you would expect, plays the race card at the mere mention of the birth certificate, saying no white man has been asked about their birth certificate. Which is another lie. John McCain was questioned extensively and had to submit to a congressional hearing and provide proof he was eligible and last time I looked he is hideous white. He didn’t make a fuss about it, but then he didn’t have anything to hide..
My point is, NOTHING should be off limits to question about a man who is or wants to be president of the United States. We know now without a shadow of a doubt that Barack Hussein Obama lies every time he opens his mouth. Why would you think he would not lie about his background and his birth? I personally think he came in on a UFO. Prove me wrong. That’s all I’m saying. 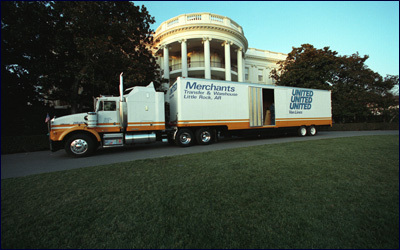 The following is what Obama presented – on the internet, mind you. Now, this is as phony as a $2 bill. It isn’t even a good fabrication. They should have hired an expert. 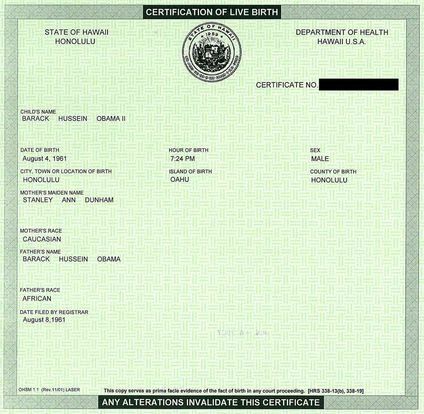 Tagged as Barack Obama, brith certificate, Donald Trump, Obama hiding something, road sign, where's the birth certificate? President Obama’s poll numbers are back in the dumps. A new Quinnipiac Poll released Wednesday finds Obama’s approval rating at the lowest point in his presidency, thanks in part to voter angst over the economy and his handling of the situation in Libya. Just 42 percent of those polled approve of the job Obama is doing, compared to 48 percent who disapprove, according to Quinnipiac. And in a bad sign for his upcoming 2012 re-election campaign, 50 percent of those polled say he doesn’t deserve another term in the White House.